A discarded plastic straw lies on a beach along the Spree River in the city center on May 29, 2018 in Berlin, Germany. Seattle's ban is part of a 2008 ordinance. Businesses had time to work toward complying with the ban. Environmental advocates have been pushing for restaurants and other businesses to ditch single-use straws. Seattle is believed to be the first major U.S. city to ban single-use plastic straws and utensils in food service, according to Seattle Public Utilities. The eco-conscious city has been an environmental leader in the U.S., working to aggressively curb the amount of trash that goes into landfills by requiring more options that can be recycled or composted. The city's 5,000 restaurants - including Seattle-based Starbucks outlets - will now have to use reusable or compostable utensils, straws and cocktail picks, though the city is encouraging businesses to consider not providing straws altogether or switch to paper rather than compostable plastic straws. 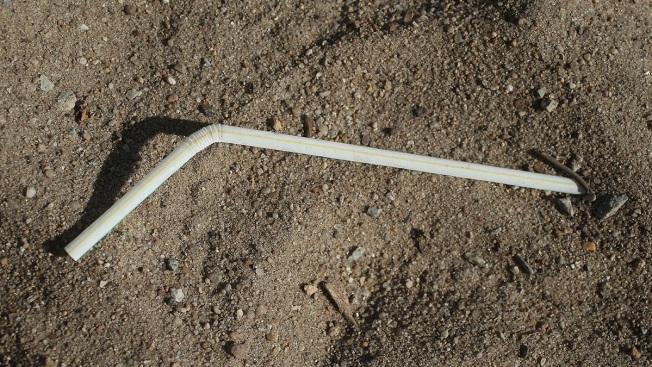 California's Legislature is considering statewide restrictions, but not an outright ban, on single-use plastic straws. It would block restaurants from providing straws as a default but would still allow a customer to request one. It's passed the state Assembly and now awaits action in the Senate. Smaller cities in California, including Malibu and San Luis Obispo, have restricted the use of plastic straws. San Luis Obispo requires single-use straws only be provided in restaurants, bars and cafes when customers ask for them. City officials said most customers will say "no" if asked if they want a straw. Business groups have opposed the idea in Hawaii, where legislation to ban plastic straws died this year, the Honolulu Star-Advertiser reported Sunday, with the Hawaii Restaurant Association and Hawaii Food Industry Association testifying against the measure. "We've almost had a year to seek out products to protect the environment and give customers a good experience (with alternatives)," she said.